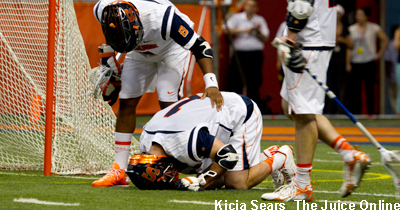 ESPN and SNY’s Eamon McAnaney calls in to chat about Syracuse lacrosse’s early exit from the NCAA Tournament with host Wesley Cheng on the Juice on the Cuse podcast hosted by SNY.tv. Senior Columnist Jim Stechschulte also calls in to recap the NFL Draft. 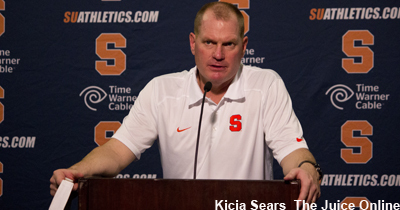 The Juice Online: What are some of the biggest issues that head coach John Desko needs to address now that Syracuse has been upset in the NCAA Tournament? Eamon McAnaney: You can’t overreact to being upset in the first round. 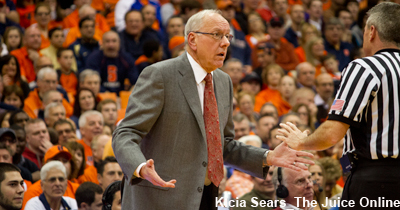 I can certainly understand that Syracuse fans aren’t used to this and it’s happened twice now in a decade. I think the Syracuse fan can accept Army but the Syracuse fan whose used to stamping their trip to the Final Four on Memorial Day is a little confused about Bryant. John Desko isn’t going to overreact. They were still the No. 2 seed for a reason. They still beat Duke. They still beat Notre Dame. They still beat North Carolina. You don’t need me to go through the laundry list. But they’re still an elite program. There’s no doubt about that. 4. What happened in the NCAA Tournament? 5. What happens next for the team?